Introducing ActivePresenter 7 - Atomi Systems, Inc.
We are excited to announce that ActivePresenter 7 – a screen recording and eLearning authoring tool is now released with many additions and enhancements. A professional and powerful software with all the tools needed to keep you staying ahead of the curve. Recording webcam and screen simultaneously allows creating how-to videos or interactive eLearning contents with visible instruction required. It’s now available in ActivePresenter 7. Whenever you find it hard to explain an idea or concept, especially to those who are far from you, use a screencast with a webcam video recording yourself or anything under the world to make it work. 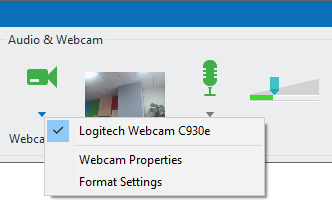 More interestingly, you can record screen and webcam at the same time or separately. Green screen effect is the technique for compositing two videos by keying out a color from a video, then replacing that color with another video. 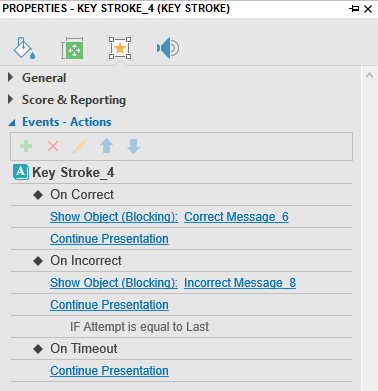 It now comes in handy in ActivePresenter 7. 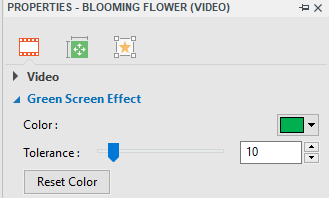 You can use this feature to blend a video with another layer of video easily, which is useful when you want to create screencasts and educational contents. Improving audio quality is now easier than ever with advanced audio features in ActivePresenter 7. They include Audio Fade In, Audio Fade Out, and Audio Noise Reduction that allow you to remove unwanted noise and fade audio with a few clicks of the mouse. Record screencasts and edit imported videos with a variety of prebuilt tools, then export them to high-quality but small file size video outputs. Bring your contents to life and keep up with the times with many additions and improvements in ActivePresenter 7 as a professional eLearning authoring tool. Responsive design in ActivePresenter allows you to create a single project which displays perfectly in any devices that have different screen sizes. This means that you only need to create the content one time and they will be viewable in multiple device layouts. With ActivePresenter 7, you can develop interactive content easily with one single multi-state object rather than multiple objects. A state is a collection of visual elements defining the look and feel of a specific object when learners have a specific interaction with it. For example, the object is in its Normal state when you don’t interact with it. The Hover state shows up when learners hover over the object while the Clicked state appears when they click the object. Themes and templates are available for you to create great contents in the shortest amount of time because you can reuse the project preferences (e.g. slide layouts, object properties) across multiple projects. It also ensures the workflow consistency especially when multiple authors are working on the same project. Right in the editing mode, you can preview the content that you are creating in the browser in a single click. You don’t have to export projects to see the result. 9 types of question in ActivePresenter 7 have a lot of improvements in design and function. Take advantage of eLearning quizzes to boost learner engagement, encourage them to apply their knowledge to take the test. In addition, try creating random questions to test learners more effectively. Using this feature will help you eliminate the chance that learners can quickly finish the quiz by remembering the question sequence. A lot of events and advanced actions are added to ActivePresenter 7, allowing you to define events and actions of the question, interactive object, and slide of the project. They help you enhance the interaction between learners and the test. Rich animation and transition effects make it easier for you to bring contents to life. In a presentation or an eLearning course, objects that appear with interesting effects can engage audience much better than those that don’t. In ActivePresenter 7, you can work with multiple timelines simultaneously. Multiple timelines feature enables you to create and control complex animations with ease. There is one Main Timeline which is run automatically when the slide is entered. Added timelines are called interactive timelines and you can add more than one of them. Download ActivePresenter 7 right now to get yourself started in creating impressive screencast videos, designing interesting eLearning games as well as other interactive eLearning contents. Let ActivePresenter 7 set you apart.